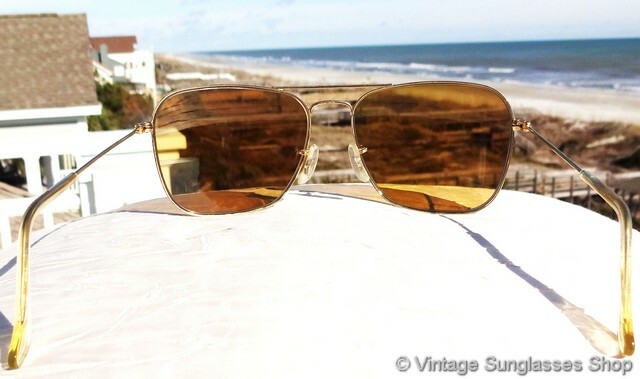 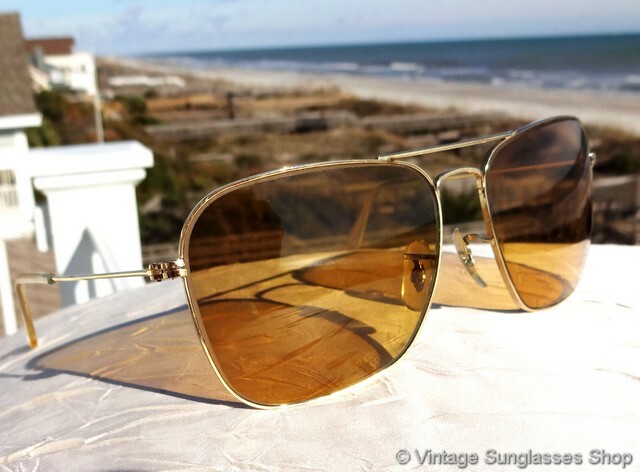 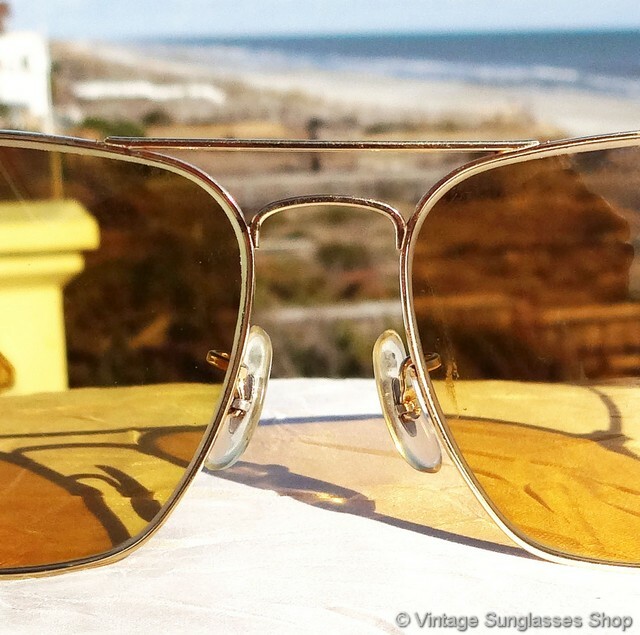 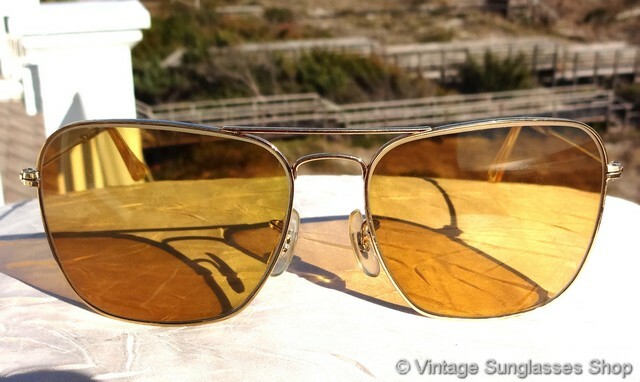 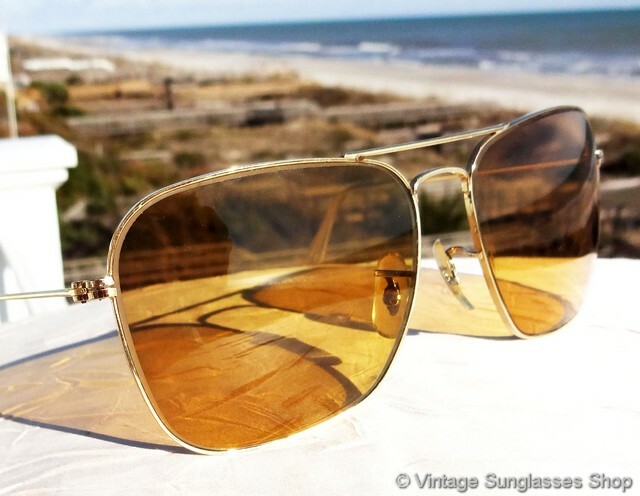 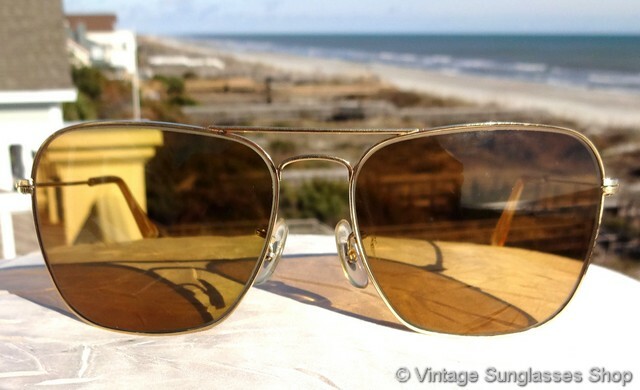 Rare vintage Ray-Ban Ambermatic Caravan sunglasses were produced in only small quantities over short duration, and we only see them a few times each year in a condition and authenticity state that meets our standards. 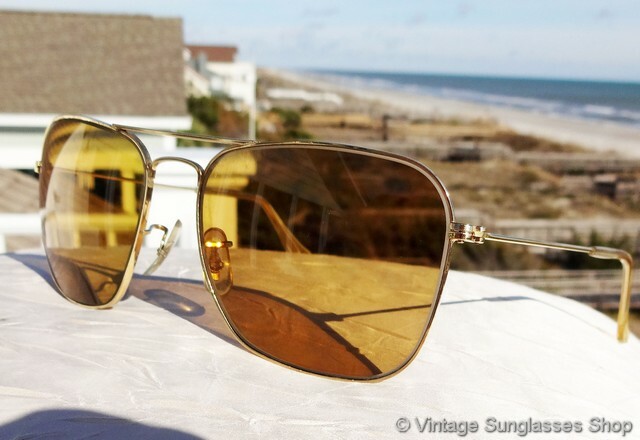 Ray-Ban Caravan sunglasses have always been one of the most popular B&L Ray-Ban styles dating back to their first introduction c late 1960s, but when you pair them with 58mm Bausch & Lomb Ambermatic lenses it's really something special. 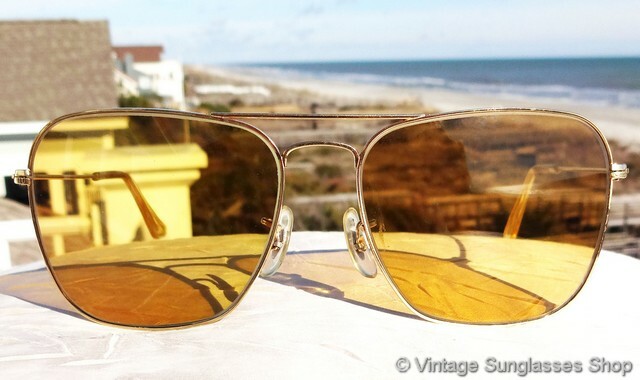 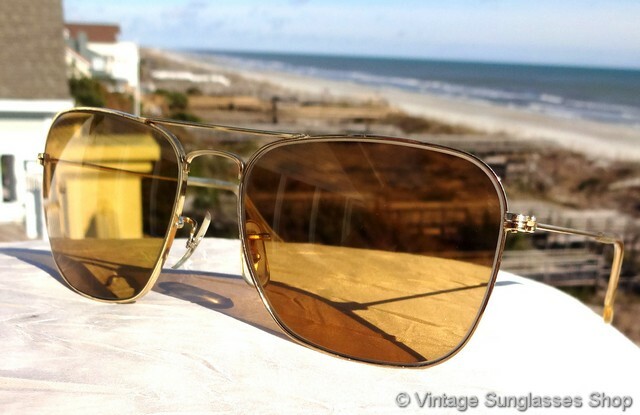 Ray-Ban Ambermatic lenses are photochromatic, i.e. 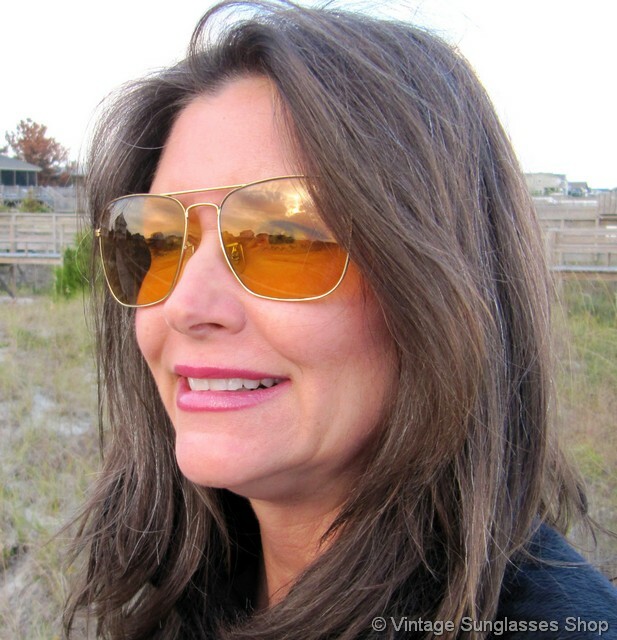 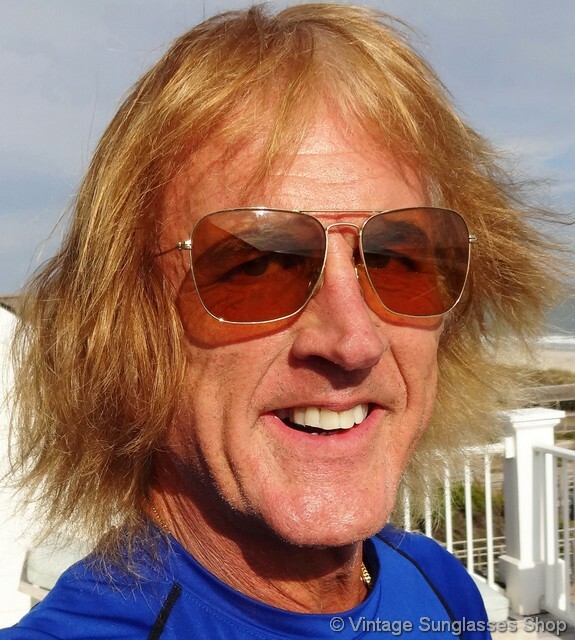 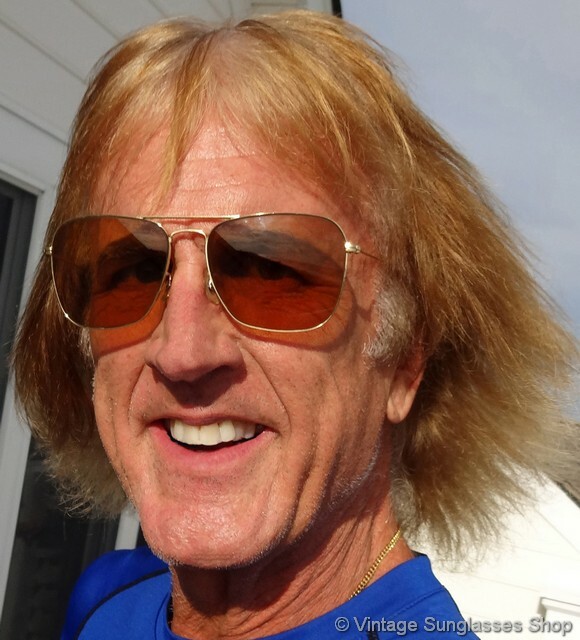 they will darken considerably when in the sunlight to provide your eyes with the proper degree of anti-glare protection in all light conditions. 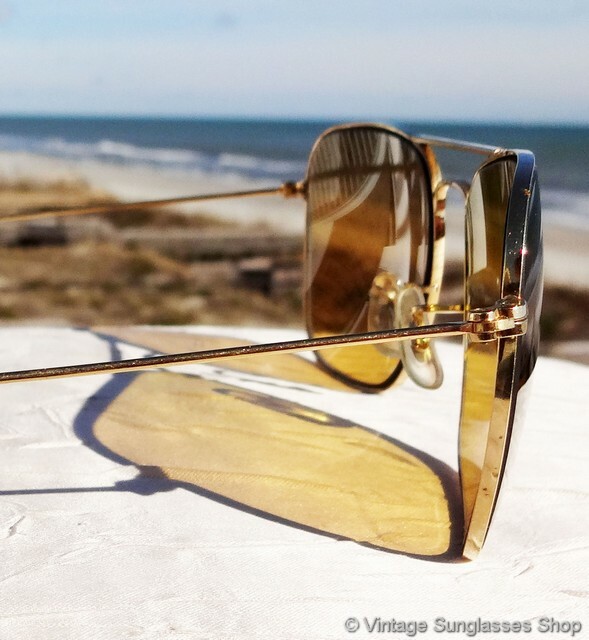 This is a physical property of the optical glass lenses and is infused into the glass, so it's not something that will wear off or wear out over time. 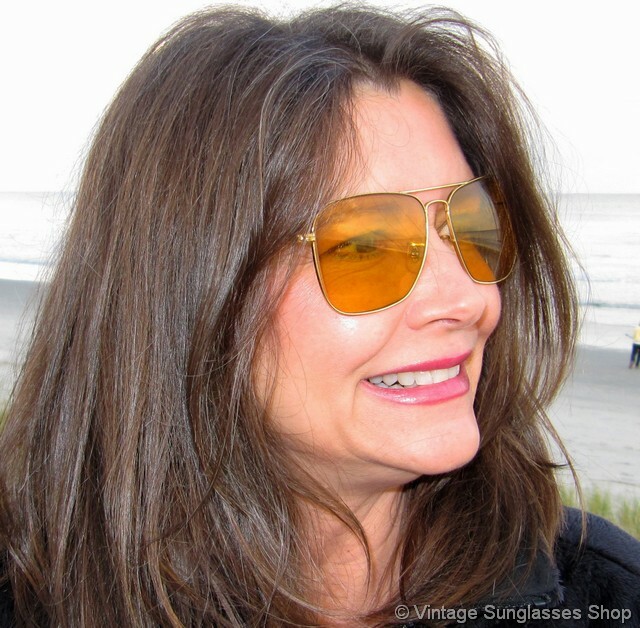 The unisex Ray-Ban Caravan frame measures approximately 5.375" temple to temple, and the Ambermatic lenses measure approximately 2.25" x 1.75" at the widest points. 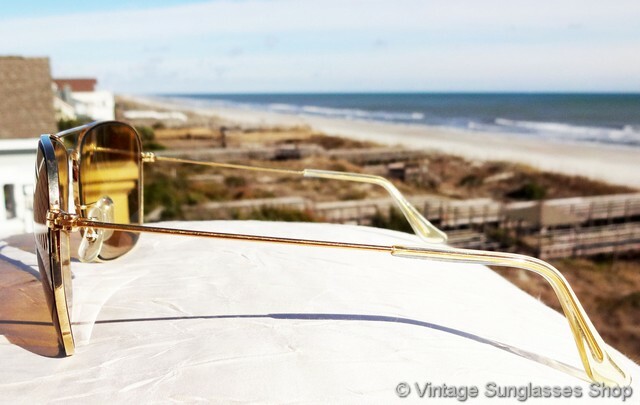 The top of the nose bridge is impressed B&L Ray-Ban USA while the bottom of the bridge is impressed B&L 58  16 USA, part of the collection of a well known TV and movie industry executive and long time customer of the Vintage Sunglasses Shop.